The four-man pace bowling concept is adopted by many teams in the modern cricket era. Australia and England are teams who employ the strategy in almost every game they play. But, the origin of the four-man bowling strategy was with a team that was a superpower in the 70s – the mighty West Indies. 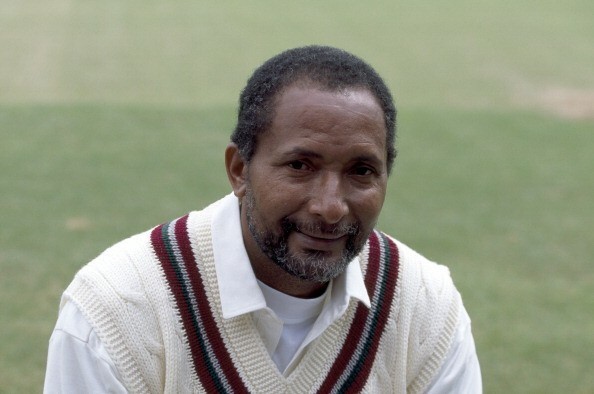 The first four bowlers that comprised of the fiery bowling lineup were Joel Garner, Michael Holding, Colin Croft and Sir Andy Roberts. The fact that Roberts was knighted speaks volumes about how successful a career he had amidst some of the greatest fast bowlers of all time. Roberts was in India speaking during a programme ‘An Evening with Andy Roberts’ which was organised by the Global Cricket School, Mumbai. The 64-year-old was never one to open up much, but on Saturday he took everyone present at the function by surprise by speaking a lot about the game he mastered. The former West Indian bowler revealed how, under the leadership of Clive Lloyd, the Caribbeans formed the foremost bowling attack that tormented many opposition batsmen. “I've heard many people say that Clive went around the Caribbean looking for fast bowlers. That is so far from the truth. “During WSC, we had four outstanding fast bowlers. We had one or two spinners who were not good enough to make the team, hence we felt, let's play our four best bowlers, who just happened to be fast bowlers. That was the birth of the four-pronged pace bowling attack and we played together for three to four years before Colin Croft left. Then, we got Malcolm Marshall,” Roberts said. Roberts also revealed the strength of each of the bowlers of the famed quartet and how each of theirs strengths worked in sync with each other and helped script many victories during the 70s and the early 80s. “But I must say that the first (quartet) was the best - Michael Holding, Joel Garner, Colin Croft and myself. We were different in approach and size. Joel presented the bounce, Michael... sheer pace, Colin presented the angle because he bowled so wide of the crease and I was the least of the lot... I presented what many people say, the brain behind the four,” he said. Roberts had a outstanding bowling record during his 10-year international career for the West Indies. In 47 Test matches, Roberts picked up 202 wickets at an average of 25.61. His ODI record was even better, as he picked up 87 wickets in 56 matches at an average of 20.35 and an economy rate of just 3.40.